71/159 David Mumpower I realize you were expecting this to be much lower but God help me, Kal Penn makes me laugh. A lot. 122/200 Max Braden I wouldn't be surprised if Kal Penn gets big things in the future. I hope we see more of Holly Davidson. Despite the fact that the original Van Wilder made only $21 million domestically, someone out there thought that the movie's comedy relief to the comedy, Taj, had enough buzz and interest for his own spin-off film. 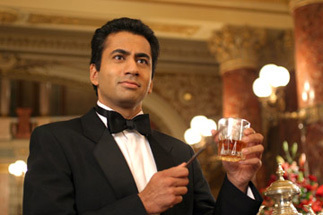 Taj was played by one Kal Penn, who has since become (somewhat) recognizable in his own right as he starred in Harold & Kumar Go to White Castle. That movie made even less than Van Wilder, but it's DVD where all the money is with these franchises, anyway. See the latest developments for this project on the National Lampoon's Van Wilder: The Rise of Taj Movie News page.